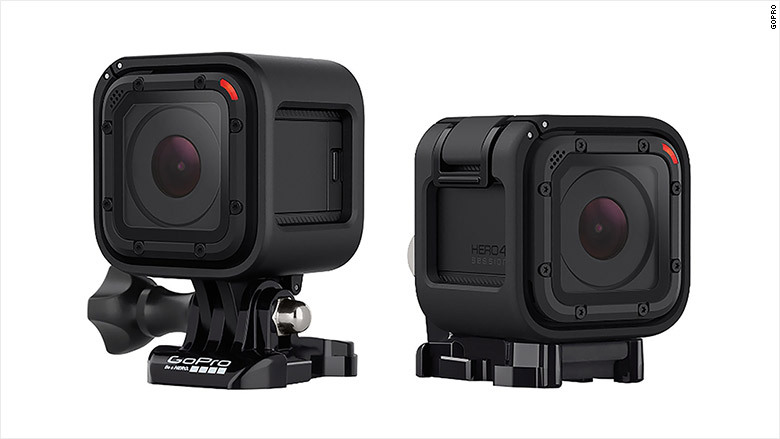 The California company is releasing, on July 12, its smallest camera yet, called the "Hero4 Session." It's 50% smaller and 40% lighter than the next-biggest model. 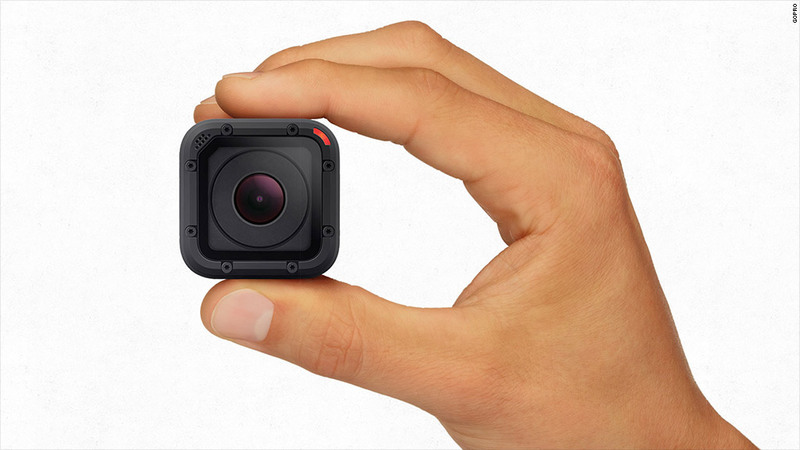 "So small, so stoked" -- that's GoPro's millennial-centric slogan for the new camera. Its online ad for the Session is chock-full of fast action footage of downhill skiing, mountaineering, race car driving, dirt biking, surfing and sharkside snorkeling. Retailing for $399, the small black camera cube fits easily in the palm of your hand. GoPro is touting the convenience and "easy one button control," while offering many of the same features as its larger predecessors. GoPro is releasing its smallest camera yet: the Hero4 Session. It's waterproof to 33 feet, so it can be used to film underwater footage of a great white shark munching a dead whale, like those GoPro wielding fishermen who off Long Island, N.Y., last month. And also like its older generations, the Session can be worn as a helmet cam. So BASE jumpers can use it for high-speed wingsuit footage while flying through narrow caves in the Alps. And of course, the Session can be used with a selfie stick. Just don't try that at Disney World. But as cool as it looks, the Session is going up against cheaper competition. The similar-looking Cube from Polaroid retails for $100, and the Yi from Xiaomi sells for less than that.